If you’re a Beachbody, P90X, or Tony Horton fan, then you’ve probably already heard about P90X2. And if you’re like me, you’re trying to be patient, but not having much luck! Finally, we have some good news to report! 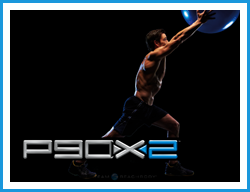 P90X2 pre-orders are now available. This blog post will give you some quick facts about P90X2, pre-order information, pricing information, the workouts, P90X2 Equipment, the various “kits”, and how to enter my P90X2 giveaway. Pre-Order Information, and why you should definitely Pre-Order P90X2. 1. If you have any hopes of getting P90X2 by Christmas, you must pre-order! 2. Orders will be shipped in the order that they are received, so pre-order as soon as possible. Again, if you are super anxious to get P90X2 or want it by Christmas, timing is critical. 3. FREE SHIPPING on all pre-orders. Once released for sale, shipping rates apply. 4. Credit cards will be used to make your pre-order, but will NOT be charged until your item ships. 5. If you are my customer (by following the instructions below) you will be entered to win a contest I am holding for my customers only! 6. When you order through me, you get 2 free Tony Horton DVDs from the One on One Series. 7. 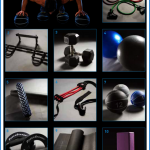 Pre-Ordering automatically enters you in Beachbody’s weekly prize giveaways. The grand prize is Tony Horton delivering P90X2 right to your door! 2. Look for P90X2. (3 packages to choose from). 3. After you have pre-ordered P90X2, you will have a username and password to login to teambeachbody.com. You can begin using all the free fitness tools immediately. You also get free fitness coach support from me. You can learn more about me by visiting my coach page. 4. If you already have an account, you can skip signing up at my coach page. You can simply login to teambeachbody.com to pre-order. If you are not my customer, however, you will not be eligible for the giveaway. How to Enter My P90X2 Base Kit Prize Giveaway. 1. You must be a current customer of mine at teambeachbody.com. If you have an existing account, login at teambeachbody.com and click on CONNECT > MY COACH. The following page should say “My coach is RTHARDEN”. 2. If you are not a customer at teambeachbody.com, you may use this link to register a free account by clicking JOIN, or going straight to the P90X2 page. 3. Once P90X2 begins to ship to my customers, I will select a winner! 4. You must be in the USA to win, and purchased at least the P90X2 Base Kit. 5. If you need help with any of this, or if you have a coach but want me to be your coach, email me at robert@extremely-fit.com. Shipping is FREE on Pre-Orders! For a larger image, click the image to the left. P90X2 Equipment can be as easy as resistance bands only. This way you can take P90X2 on the road, hotels, or even at home, with nothing but the DVDs and bands. Now if you want to get the full benefits of P90X2, you might want to consider investing in some equipment, or purchasing the Deluxe or Ultimate Kit that comes with equipment. If you pre-order, you can take advantage of the free shipping, which is a great deal if you are buying equipment too! If you want to get the most out of P90X2, you might consider a chin up bar, dumbbells (personally, get Powerblocks), Balance Ball, foam roller, chin up assist, medicine balls, powerstands, mat, and yoga blocks. Some of these are already available in my store, others will be added as they are made available. You can probably find other outlets as well. 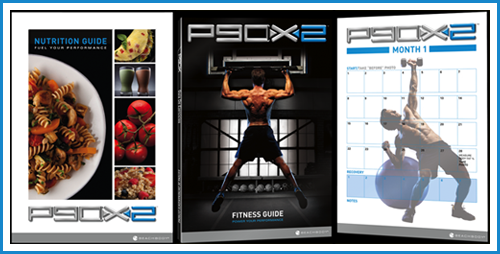 P90X2 Nutrition Guide, Fitness Guide, and Calendars. The P90X2 Nutrition guide is one that I am really anxious to see. Beachbody has stated that it was meant to be easy and accessible to everyone, meaning you should be able to find your groceries just about anywhere. In addition, they have some information in the nutrition guide to help various people and their nutritional needs. So if you are a P90X graduate, you may start at point A. If you are a Power 90 grad, and still needing to lose some weight or tone up, etc, you may start at point B. I’m sure more information will be made available soon, and I will get it out as I know. Beachbody also states that it is tailored to many different diets. Vegan, Vegetarian, etc etc. Beachbody mentioned the variations to the guide makes it similar to 27 diet plans in one guide. Steve Edwards, with Beachbody, stated they tried to answer all the questions about the P90X diet in this new guide. 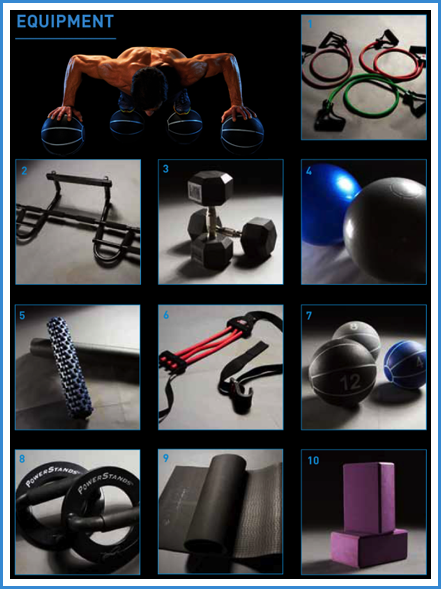 Of course you will also get a fitness guide and calendars. 1. Those that have graduated from P90X, Insanity, Insanity Asylum, Chalean Extreme, Turbo Fire or other advanced program. 3. Power 90 graduates can also consider P90X2, although they may want to stay in Phase 1 of the program for a longer period of time. Conclusion and Final Thoughts for Now. Personally, I’ll pre-order P90X2 as soon as possible, I may even set my alarm clock for 9/1/11 at 12:01 am, and wait patiently. 🙂 (Although the actual “live” time is not yet known). Tony Horton has never let me down in the past, and I know that will not change with P90X2. I started doing P90X in 2006, and I have done more rounds than I can keep up with. I have yet to find that the workouts no longer work. P90X was the best investment of my life! With the release of P90X2 there will be an infinite number of possibilities. Imagine doing a few rounds of P90X2, then mixing in some P90X. Toss in some Insanity and Asylum. Throw in a Turbo Fire. I’m excited, and I hope you are too. I also hope that you will join me in a P90X2 round. Join my coach website, take advantage of my free coach support, and let’s rock this program together! If you have found this article beneficial, please share it with your friends, and join me on Facebook! If you want to make sure you get all the updates, subscribe! I have a question. I’m trying to figure out the differences between the deluxe edition and the ultimate edition. As far as I can tell he only difference is the push up bars. But why is the ultimate edition’s foam roller a lot different looking? And also, what all comes in the deluxe edition? PS: I’m so excited, I can’t wait, and the release time is perfect, so I can finish this round of p90x and do a round of the Asylum, and possibly a hybrid round. I am a graduate of P90X (only 3x) and Insanity. I have much of the equipment from p90x – power stands, pull up bar, yoga mat, yoga block, even a full set of the bands, which I do not use except when traveling. I want to avoid duplication of equipment, which p90x2 option would be best for me so that I do not get duplicate equipment?